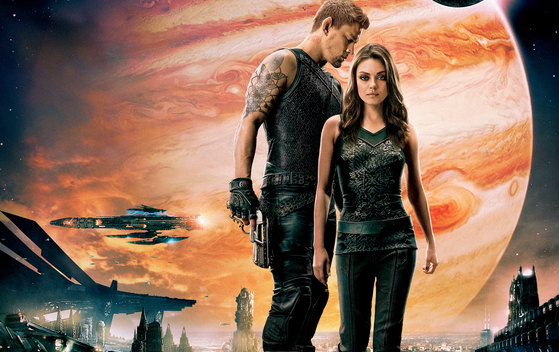 Call me crazy, but the Wachowskis' Jupiter Ascending, despite its ridiculousness and not-so-great execution, is the kind of movie we desperately need in Hollywood. The big-budget sci-fi epic represents something that rarely happens at multiplexes across the country in the 21st century: a original piece of work widely distributed and put on the big screen. The word "Marvel" isn't attached to the opening credits (or any comic-book label for that matter). There's no YA novel from which it was adapted. Heck, there isn't even a cheesy 80s TV show that inspired a big-screen reboot of the property. And that, ladies and gentlemen, is a glorious thing. Yes, it's about Mila Kunis playing a cleaning lady who finds out she's a powerful descendant of an intergalactic dynasty. Yes, Channing Tatum plays a half-wolf hybrid who has a cool pair of gravity-defying rollerblades that makes the hoverboard in Back to the Future Part II look quaint. Yes, some of the action is over the top. But the filmmakers have built a world we haven't really seen before. It's kind of a beautiful thing. Jupiter Ascending bombing at the box office -- when you align it's $180 million budget with its $19 million opening weekend performance -- is a sad indication of how Hollywood execs are shaping the tastes and expectations of the American audience. It also gives studio heavyweights the ammunition to further prove their case that what is old will be new again...and again. There's no need to invest millions of dollars in an original idea when they've already conditioned moviegoers to accept and consume fare like Furious 7, Taken 3, Ghostbusters 3, a fourth Jurassic flick, and Paul Blart: Mall Cop 2. I could go on and on about the current state of American film, but Grantland's Mark Harris has already done that with his highly insightful article titled "The Birdcage." It is a MUST-READ for anyone who has a sliver of concern about what your money is funding every time you visit the box office. Seriously, read it now (allow yourself 10 minutes to get through it all). And then leave your comments below. I'll wait.